I swear I’m the Queen of DIY. 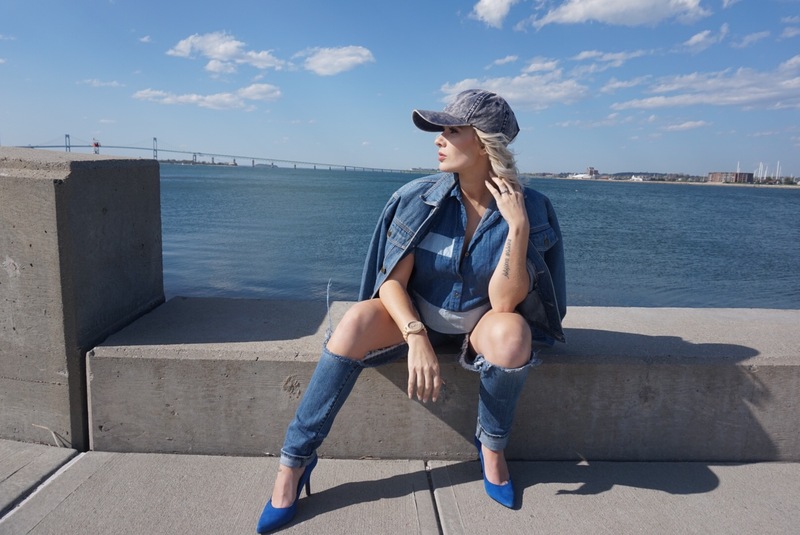 I’ve always loved thrift shopping and re-creating looks that are chic, for cheap! I used to make DIY distressed shorts for the longest time, and lately I’ve been shredding jeans like it’s my job! 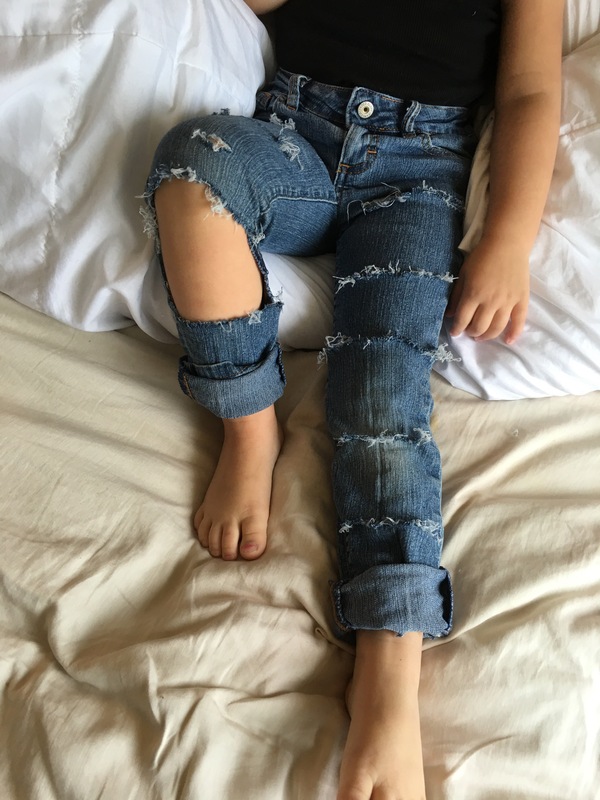 This week on one of the rainy days, while Avynn was napping I ripped up some boyfriend jeans of hers! On this day we matched perfectly (I ripped hers identical to mine)! A ton of you messaged me through Facebook asking where I bought her + mine, and the truth is, we re-vamped what we already had! 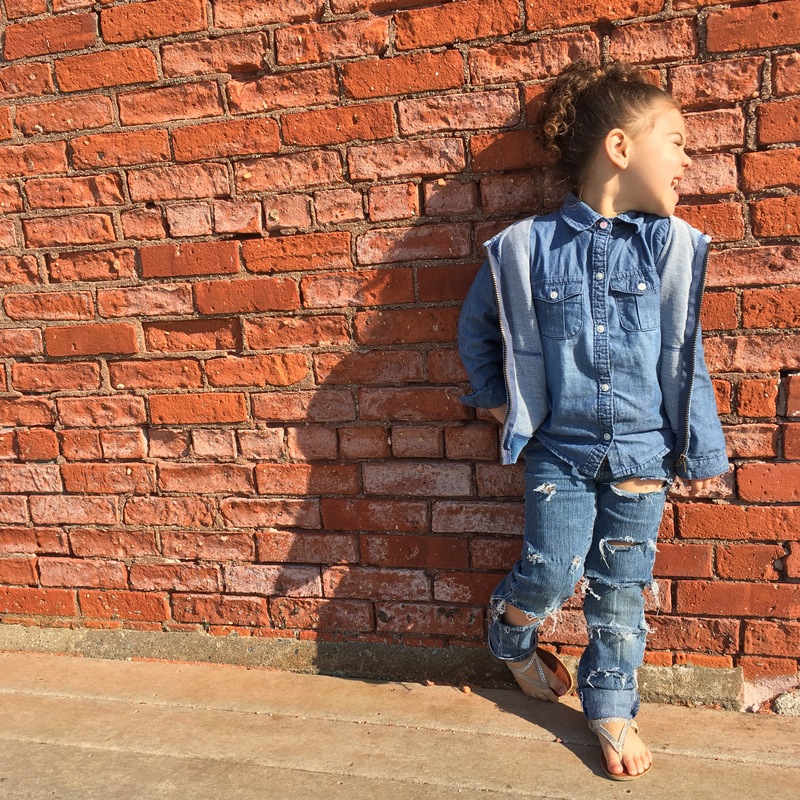 I figured since I received so many responses I would blog Avynn wearing them, which brings us to today-Denim x Denim! She was completely wild today even after a nap! Avynn’s sandals were gifted. Her denim button up is Children’s Place and her acid wash hooded vest is from H&M! 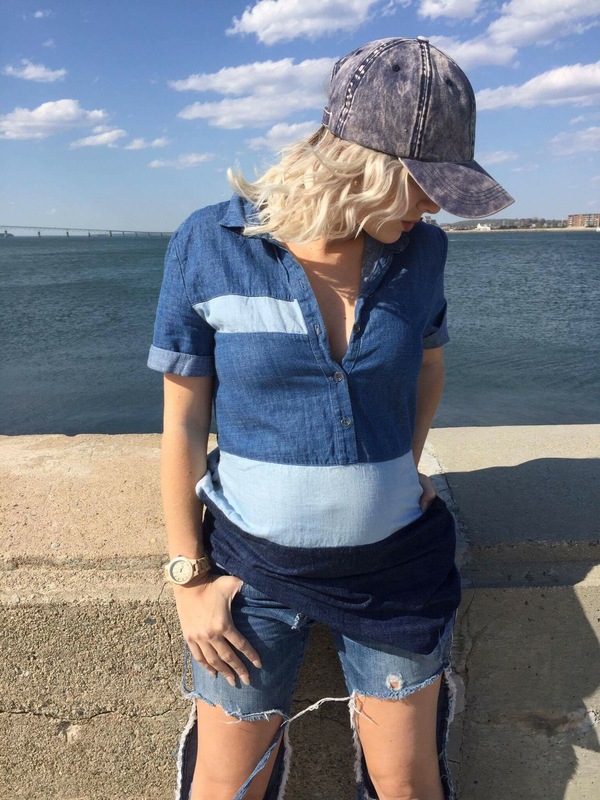 I’ve loved doubling denim for years- it’s such a 90’s look, I could find a ton of childhood photos of me in OshKosh! However today I chose to go with denim because I received a watch in the mail right before Mother’s Day from JORD and I’m obsessed!!!!!!!!! The color of the watch is actually the Original wood after being conditioned with Tung Oil ( this prevents the wood from cracking)! I love the light Maple it will go with everything! 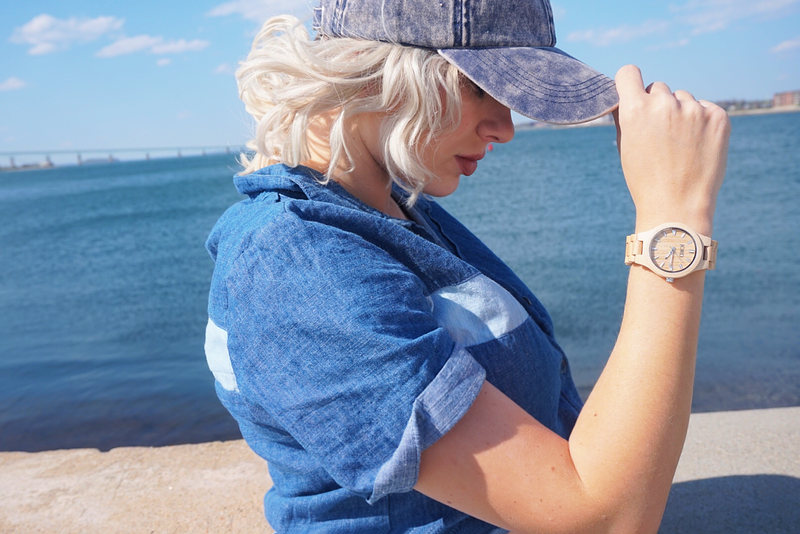 I’ve never been a huge watch girl, I’ve always felt that the typical Michael Kohrs + Fossils were always too flashy, and I feel these wooden watches are completely versatile! For all of my readers who are as obsessed with these Wooden watches as I am, I am happy to share an amazing promotion with you! By clicking the link below you will be entered to win a $75 voucher to go towards any watch of your choice! Your email will be entered, and the winner will be chosen May 29! But wait it’s such a win-win situation! 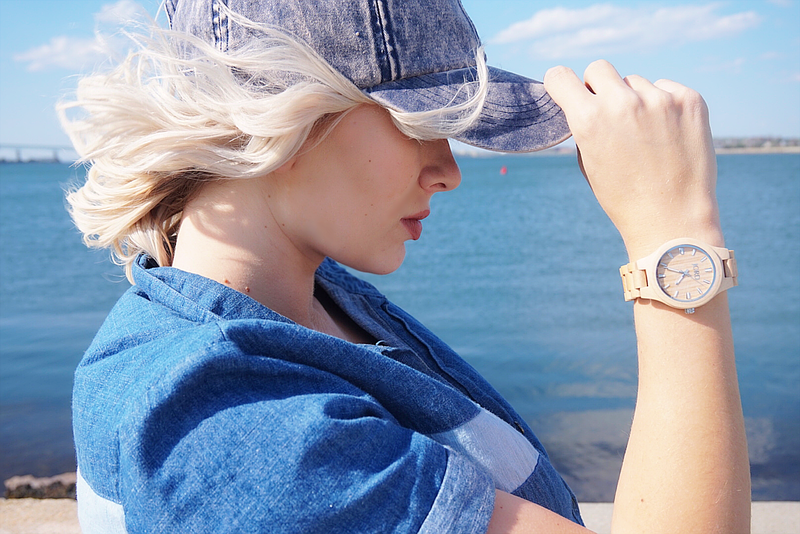 Even if you don’t win the $75 voucher, each “loser” will still receive an E-Card for $20 off any JORD watch! Amazing right?! Follow this link to enter ➡️ GIVEAWAY! You both look so cute!! !